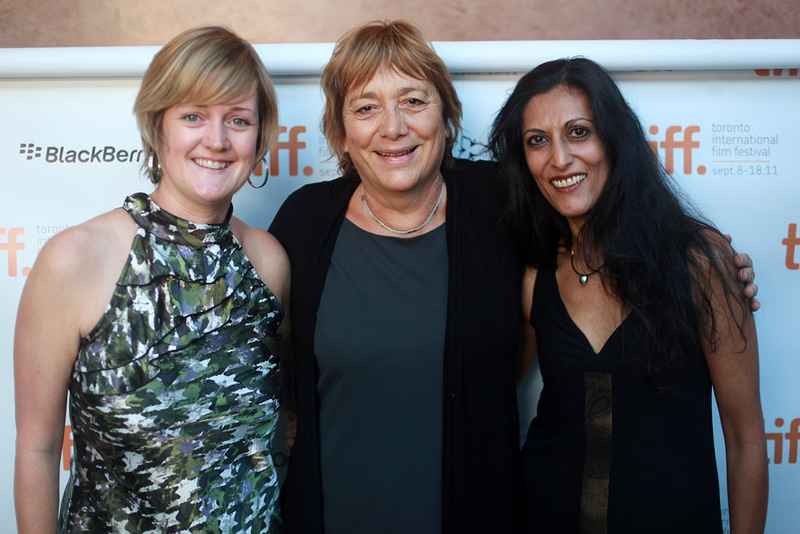 We recently had the privilege of watching Pink Ribbons, Inc. a feature documentary which had its world premiere at the Toronto International Film Festival 2011. It is a clear-eyed look at the worldwide cause-marketing machine behind corporate fundraising for breast cancer research. This must-see film unveils “the pink myth" and encourages people to question their actions while calling for accountability. Every year, hundreds of thousands of people walk, run and shop for “the cure.” Millions of dollars are raised in the name of breast cancer, but where does all the money go, and what is actually achieved? Pink Ribbons, Inc., examines what many have called the “dream cause” of cause-related marketing. This interview with the producer, Ravida Din, offers insight into film and her role and career at the National Film Board of Canada. Brilliant and thought provoking. Check out the trailer below. 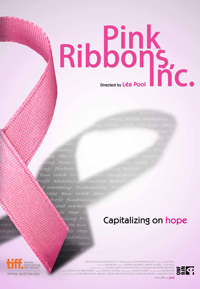 Tell us about the film Pink Ribbons, Inc. Pink Ribbons, Inc. is about the corporatization of breast cancer. It is about how our society has normalized breast cancer – and – by normalizing it, we have completely depoliticized it. The film raises moral and ethical questions about subsidized philanthropy that is based on citizen goodwill and volunteerism. We may ask “what’s wrong with raising money” but let’s also ask why we need to raise money and how are we doing it... And, are our governments abdicating responsibility? This “normalization” of the disease has been made possible as more and more corporations have become involved in attaching themselves to the breast cancer cause. They are packaging the disease and attaching pink to it... Barbara Ehrenreich refers to this as “relentless brightsiding” or as Samantha King so aptly puts it – there’s a “tyranny of cheerfulness”. Pink Ribbons, Inc. Is a feminist response to our contemporary breast cancer culture. It asks us to consider what kind of collective action will lead to meaningful change and the end of this disease. Why are you funding, promoting, or developing this feature documentary? Or what makes you “get behind” a particular film? The National Film Board of Canada (NFB) is a unique public producer. We produce and distribute stories that reflect Canadians... to ourselves and to the world. We have a great obligation to bring to life the stories that matter to people and stories that create dialogue, participation and social impact. John Grierson (founder of NFB) spoke of using art of the documentary as a hammer to transform the world. This is at the heart of what we do. 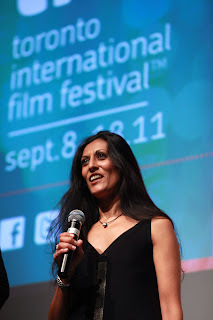 I have a strong commitment to social documentary film and to and in particular to bringing a feminist point of view to the screen. What that means is that we dig deep into an issue and look at the systemic nature of things and the underlying questions of how we build and transform society that privileges equality, social justice and peace. In the case of Pink Ribbons, Inc. not only did I want to deconstruct this breast cancer culture that we’ve created, I also wanted to pay respect to the remarkable women who have worked on this issue for many years and who have dedicated their lives to ending this disease. Tell us about your creative process? What were the positive aspects or negative obstacles that you encountered while producing and filming Pink Ribbons, Inc.? I was first inspired by an article “Welcome to Cancerland” by Barbara Ehrenreich. It led me to other feminist writers...namely Samantha King and her book “Pink Ribbons, Inc – Breast Cancer and the Politics of Philanthropy”. I was fascinated by King’s book and in particular her discussions about the rise of philanthropy and the corporatization of women’s health. I optioned her book and it gave me a solid theoretical framework from which to begin the research. I wouldn’t say that there negative obstacles. It was simply a lot of hard work and staying on course in terms of the focus of the film. It’s a huge subject and it was at times easy to get side tracked. Of course, I had a fabulous team and eventually worked with a very experienced and talented director – Léa Pool. Why is Pink Ribbons, Inc. an important film to see? It’s important because far too many women are dying from this disease. We have all been complicit in creating a volunteer based “movement” largely funded by corporations and various foundations and we’ve been raising billions of dollars. Where is the progress? We need to completely re-think our approach to breast cancer and to women’s health in general. this film will start a conversation that move all these efforts to a place that starts with critical thinking on the subject. What steps do you want the audience to take next? Tell everyone they know to see the film. We want to make sure that we get very large audiences for this film. This is how we can create a bigger social debate around the issue. I think that activists and organizations concerned with the issue will be able to use the film as a tool to spark that debate. Audiences – especially those who are involved in fundraising for this cause – may want to ask more questions next time they hand over their hard earned dollars and their time to these causes. We need to critically think about how we can become more effective as a society in addressing this epidemic of cancer. How did you get started in filmmaking / producing? I first worked in marketing and publicity at the NFB and fortunately had an opportunity to work with Studio D (feminist production studio) at the NFB. There was a very strong focus on using films for social change. I then gained experience in several other areas such as theatrical and non-theatrical distribution and then management. I had an opportunity to train as an associate producer and that led to a strong interest in producing. After working for about 5 years as the Assistant Director General for English Program Production (also a fantastic opportunity in that I was able to have a hand in all aspects of production, financial, administrative, creative, business...etc.) I was appointed as Executive Director for the Quebec Production Centre. A year ago, I was also asked to head the Atlantic Production Centre. I now manage the two studios working with three producers and directly produce a handful of films as well. I love my job! If there was the one project that you could see being made into a film what would that be? What else do you have in store for the future? I have two projects that I would love to pursue but am not going to divulge..not yet. I am quite intuitive in the ways that I work and I need to let ideas percolate for a while. I would love to continue to bring stories (to the screen) that will radically transform our world to a more equitable one.